If you’ve been following things around here lately, you’ll already know about our Push instrument and its unique interface for playing melodies & beats and triggering clips. If you’re using hardware instruments, Push can also be a complementary performance and controller interface. Play scales according to Push’s scale mode, tap out drums on Push’s velocity-sensitive pads or go in deeper to tweak parameters straight from Push’s touch-sensitive knobs. We’ve put together a few videos to show you the potential of Push for a fresh perspective on working with hardware. 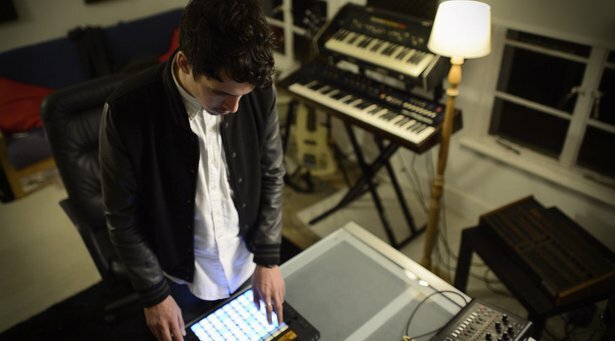 One person doing just this is London-based producer Dauwd. We caught up with him to talk about his first experiences with Push in his studio setup. If you’re interested in going even further down the rabbit hole with complete control and automation of synth parameters using Push, we’ve put together a Max for Live MIDI effect - a user-friendly device that will allow you to map any CC number to Push’s eight knobs. In this final movie, Jesse runs you through how to use the device for total control over your hardware synths while keeping Push at the center of your workflow.